The top factors driving 2017 model-year buying decisions will be corporate initiatives to acquire the most fuel-efficient models available for the fleet application, downsizing to smaller displacement engines or different classes of vehicles, and the incorporation of additional safety features and equipment options into company-provided vehicles. This market assessment is based on a 2017 model-year buying inclinations survey of 400 corporate fleets conducted by Automotive Fleet in late May 2016. 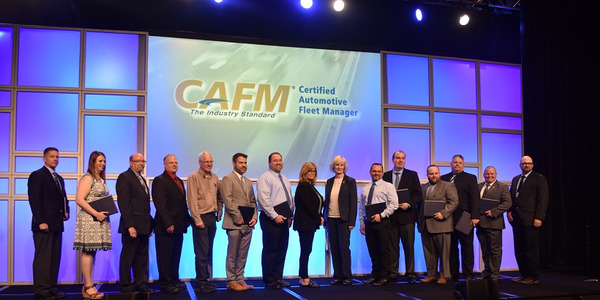 The majority of commercial fleet managers responding to AF’s annual survey reported that their new-vehicle ordering volume will be comparable to the prior model-year. However, the commercial fleet market is very diverse and there were a smaller number of companies that reported they will either increase or decrease the volume of their MY-2017 fleet ordering. 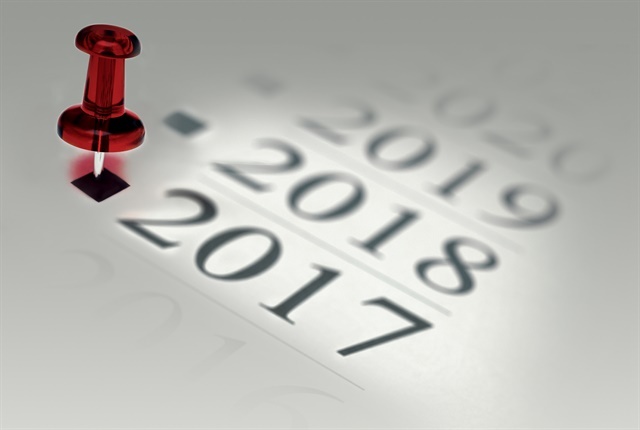 On an aggregated basis, the survey revealed the overwhelming majority of companies will maintain traditional ordering levels for model-year 2017, with volumes similar to what was acquired in the 2016-MY. A majority of companies will not make dramatic changes to their MY-2017 new vehicle orders and will keep acquisition volumes at that same level as the prior model-year. Some fleets will increase new-vehicle orders due to business growth and the need to replace aging vehicles. Slowdown of U.S. energy industry, due to lower oil prices, is prompting companies to adopt very conservative replacement schedules. Corporate initiatives are promoting the acquisition of the most fuel-efficient models able to fulfill the fleet application. Downsizing to the next vehicle segment or spec’ing smaller displacement engines. Incorporation of additional safety technology and equipment options into company-provided vehicles. One historical hallmark of commercial fleet sales is its stability. When comparing year-over-year fleet sales, there typically has not been as much fluctuation in industry-wide total commercial vehicle purchases as is found in the retail market. Although external macroeconomic factors produce sales expansions or contractions, such as what is currently occurring among energy-sector fleets; for the most part, overall commercial fleet sales traditionally remain relatively stable. For companies that report they will increase new-vehicle ordering for the 2017-MY, the two primary reasons are to accommodate business growth and to replace aging inventory. “I will likely order more vehicles because of the path our company is taking in the hiring of new employees and also our company’s growth,” said Fran Genovese, global fleet services manager for Chemtreat, Inc. This sentiment was echoed by other companies, such as Agrium/Crop Production Services (CPS). “We will acquire double plus (240%) from the previous year,” said Michael Gates, fleet department manager for CPS. One segment of the economy that is experiencing growth is new construction. In addition to business growth, many fleets will be replacing aging units that have been kept in service for longer-than-normal mileage guidelines. The need to replace older inventory was repeated by other companies. “We will acquire more vehicles, but it is because we are going through a spike of vehicle counts that are eligible for retirement based on previous spikes in order volumes several years ago,” said one fleet manager who wished to be anonymous. Another example is Royal Cup Coffee. “We will be acquiring more vehicles, but the increase is not driven by growth, rather the timing of our standard replacement cycles for passenger and light-duty vehicles. We are cycling some medium-duty diesels out ahead of schedule and replacing them with Isuzu gasoline-powered trucks. Reliability of diesel trucks continues to significantly impact cost, productivity, and driver morale,” said Jim Collins, CAFM, support services manager for Royal Cup Coffee. The U.S. economy is diverse and, while current economic conditions may be generating growth for some, there are other industry segments experiencing contraction. A case in point is the energy sector. While lower fuel prices have been a boon to many companies, for those companies whose profits and cash flows are dependent on the price of oil, today’s lower prices are creating economic hardships that are translating into smaller, or, in some cases, no new-vehicle orders anticipated for the 2017 model-year. However, this is not true for all energy-sector fleets. “Even with the reductions in staff due to lower oil prices, we continue to acquire companies in other fields. 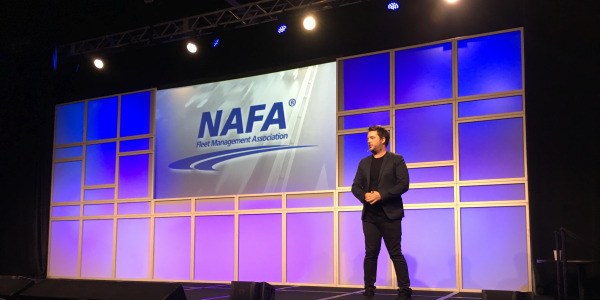 These acquisitions should result in a 10-15% increase in vehicle purchases,” said one fleet manager who requested anonymity in order to participate in the buying inclinations survey. There were a variety of other reasons given for reduced or steady new-vehicle orders for the 2017 model-year. For instance, many larger fleets have multi-year purchasing agreements, which sets the parameters of what they will be acquiring in the next several years. Another reason is shortcycling, which accelerates vehicle replacement cycling. “We did a shortcycle on our cars for MY-2016 to take advantage of resale value and to have the rearview camera standard, which will dramatically reduce our 2017 orders,” said a fleet manager who asked not to be identified. In addition, changes in OEM sourcing will also impact 2017 new-vehicle ordering. 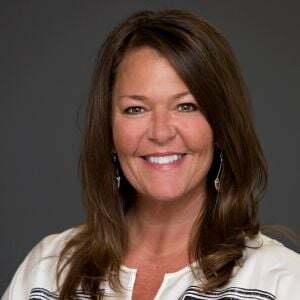 “We will acquire fewer vehicles since we recently switched OEMs and updated a large number of MY-2016 vehicles,” said Michelle Thur, North American fleet manager/global travel manager & P-card program manager for American Greetings. Similarly, changes in a company’s business practices was another reason given for decreased 2017-MY ordering. “We will acquire fewer vehicles due to changes to our business model,” said Brian Wickham, manager – employee mobility for The Wendy’s Company in Dublin, Ohio. Large purchases in the prior model-year was an additional reason given for decreasing new-vehicle orders for 2017-MY. “We will acquire fewer vehicles in 2017 than 2016, which was a big buying year,” said Tom Hathaway, regional transportation manager for Nestle Waters North America. Many companies in the energy sector reported that they will decrease fleet purchases. “As a result of the depressed oil and gas market, we will be purchasing less vehicles in MY-2017,” said Kimberly Fisher, global manager, fleet and travel services for National Oilwell Varco in Houston. Sometimes one segment of a fleet may contract, while other segments remain the same. One example is Utz Quality Foods, Inc. “Our fleet is broken up into various groups. There will be fewer orders for management vehicles, but route vans and tractor trailers will be the same,” said Scott Surrell, fleet services manager for Utz Quality Foods, Inc./UtzTran, LLC in Hanover, Penn. Internal reorganization also influences new-vehicle purchasing volumes. “Our organization is in a state of flux, which has resulted in no vehicles being ordered this year,” said one fleet manager. The majority of the surveyed companies will not make dramatic changes to their new-vehicle orders and will keep acquisition volumes at that same level as the prior model-year, which was a strong year for fleet orders. “We will acquire about the same amount of vehicles in MY-2017 as we did in MY-2016,” said Brett Switzky, fleet, trucking, & records retention manager for American Family Mutual Insurance Co. in Madison, Wis.
Corporate mergers and acquisitions of other companies is also playing a role in keeping purchasing volumes relatively static year-over-year. “I would expect about the same volume as last year. With our merger with Scotts Lawn Service (2,300 vehicles) in April 2016, we will use this year to consolidate our fleets and determine what will be our future vehicle requirements,” said Scott Darling, director of fleet for TruGreen. The impact of corporate acquisitions was repeated by other fleet managers. “Right now, the plan is to acquire about the same number of vehicles. With the purchase of Service Experts by EnerCare those plans may change,” said David McCauley – North America fleet manager for Service Experts LLC. Early model introductions by some OEMs is also influencing new-vehicle ordering patterns. “We will be acquiring the same volume as last year, but the biggest difference is that the 2017 Ford came out so early this year that we have moved up our orders and replacements up,” said one fleet manager who asked not to be identified. While the majority of companies are following a “steady as you go” acquisition strategy, some companies are looking to make dramatic changes to their replacement cycling parameters. “We are looking to move to a standard monthly replacement cycle that is strictly parameter driven versus the traditional fall or spring cycle replacement. Also, our company will separate into two completely separate public companies mid-year, so this will change the vehicle acquisition numbers when we are operating separately,” said one procurement VP who wished to be anonymous. Concerns about the safety of both the driver and the vehicle is a perennial top issue for almost all fleet managers. In particular, the lack of compliance by drivers with the safety policy, specifically with cell-phone usage while driving. The lack of a standard “model-year” is a widespread complaint by fleet managers. OEM production schedules have been a growing issue with the scattered model-year launch time frame. This manifests itself with early build outs and mid-year model changes, which make it difficult to manage. There are shifting fleet preferences in vehicle segments. For instance, there is a growing acceptance of crossovers as a commercial fleet vehicle. Once crossovers were considered an upgrade, but these vehicles are now in fleets in representative numbers similar to the retail industry. Today, procurement or strategic sourcing is very influential in vendor selection, contract negotiations, service-level agreements, and ongoing supplier management. Low fuel prices will most likely continue for the balance of the 2016 calendar-year. But, the anticipation is that ultimately the fuel price pendulum will swing toward higher prices. The fleet industry has enjoyed a strong used-vehicle market for several years as demand in the wholesale market has exceeded inventory supply. However, the increase in used-vehicle supply due to the high volume of trade-ins, resulting from record new-vehicle sales and off-lease vehicles returning to the market, will cause prices to soften. Many fleets offer drivers the option of reimbursement or a company vehicle. Younger employees look at reimbursement because they view it as “extra cash” in their pocket, versus money for the upkeep of their personal vehicle being used for business purposes. Fleets are constantly scrambling to stay current with the ever-changing safety and environmental regulations to ensure compliance. Increasing regulations, in general, at the jurisdictions below the federal level has been a trend for years and is continuing unabated. 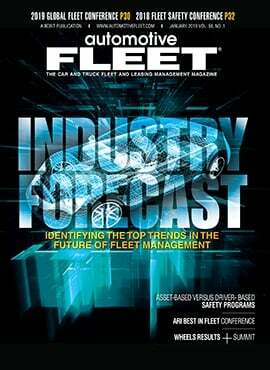 Technology is reshaping the fleet management industry. The landscape for connected vehicles and autonomous cars will affect fleet operations, fleet manager roles, our business model, and drivers. Most fleets will remain with the same types of vehicles acquired in the prior model-year. “We are not anticipating any changes in the types of vehicles we will offer for 2017,” said Mark Petersen, manager, fleet operations for Panasonic Corp. This was repeated by other companies. “My seven-vehicle selector will remain the same or similar,” said Adam Orth, CAFM, fleet services manager for General Mills Inc. Most fleets do not anticipate changes to vehicle types, as choices of vehicle segment types are driven by business requirements. “We are continuing on our quest to standardize our fleet,” said Jim Bigelow, senior director, enterprise fleet for Cox Enterprises, Inc. This was echoed by other fleets. “We have adopted specification revisions to standardize the selected vehicles,” said another fleet manager. “We don’t anticipate any changes, but we will be experimenting with different configurations in order to get the right one for our fleet,” said McCauley of Service Experts LLC. Downsizing is an ongoing factor influencing new-vehicle acquisitions at many corporate fleets. The decision to downsize to a smaller vehicle is typically determined by TCO and fleet application. “We are still looking to get smaller. However, OEMs are not offering significant enough discounts on B-class/compact vehicles to enable a financial justification of getting smaller cars. Therefore, the types of vehicles will likely be the same,” said one fleet manager. Downsizing to a smaller class of vehicle (or different vehicle segment) is an ongoing trend at many fleets that will continue with 2017-MY ordering. “We are going back to minivans from mini-SUVs,” said Gregg Hodgdon CAFM, fleet operations for Deli Express/E.A. Sween Co.
“We will have a reduction in engine size due to the availability of enhanced four-cylinder engines with turbos,” said Ralf Wessel, manager global security, global fleet and corporate facilities for AGCO Corp.
“We will purchase the same types of vehicles, while trying to consolidate to one or two manufacturers,” said one fleet manager who wished to remain unidentified. Another factor stimulating sourcing consolidation is increased aggressiveness by OEMs to “conquest” new business. “Could there be consolidation the number of OEMs we are using? There could be. We are still evaluating. It seems all OEMs are increasingly eager to win business this year. It is pushing them to be more competitive both on price and service,” said one fleet manager who wished to be anonymous. “We have awarded all of our 2016-MY van purchases to FCA for ProMaster vans. We expect this to continue in 2017, barring any unsustainable issues with the ProMasters. 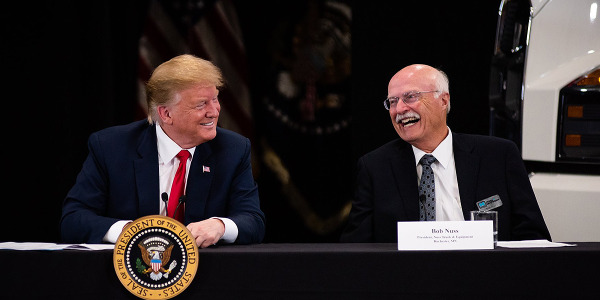 We did see significant issues with the new DEF process, related components, and new computer technology that was employed on the ProMaster diesels to comply with the U.S. emissions standards. I interpret this similar to a ‘buggy’ first-generation computer system. Regardless, those issues would have been unsustainable at scale, so we are opting for gasoline ProMasters instead,” said one fleet manager. Some fleets are downsizing to smaller vans. “After a successful pilot of the Ford Transit, we will be adding around 350 to our fleet this year and continuing that trend for 2017,” said Bigelow of Cox Enterprises. Starting in 2016 and continuing into the 2017-MY, some fleets have stopped buying diesels. “We stopped buying diesels and I don’t see us going that route again anytime soon. This was due mainly to the VW emission issue, but also due to the expense of repairing diesels once they reach 120,000 miles. Diesels can definitely run a long time—longer than gasoline engines—but the maintenance is very expensive,” said one fleet manager who wished to be anonymous. This was seconded by other fleet managers. “We will continue to move from diesel power to gasoline whenever appropriate to still meet payload requirements,” said Collins of Royal Cup Coffee. Most fleets will be spec’ing greater safety options during the 2017-MY fleet buy. The availability of safety packages will have a direct bearing on what will be ordered for 2017-MY. “We will consider the safety packages offered and this will have impact on which models we select,” said Charles Szymanski, manager global property casualty insurance & auto fleet for PPG Industries. This strategy was reinforced by similar comments from other fleet managers. “We are adding safety features on all trim levels and buying the safest vehicles available. 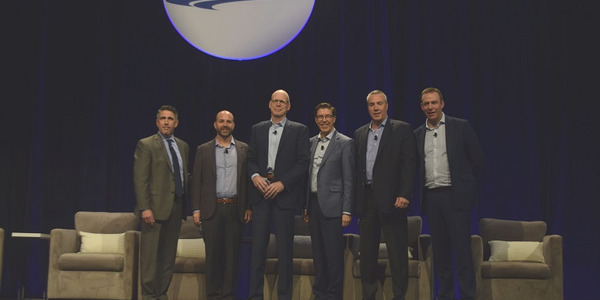 Minimizing distracted driving and creating driver accountability has become a huge factor in our buying decisions,” said one fleet manager, who asked not to be identified. Selecting models with higher mpg than the predecessor model is driving many acquisition strategies. 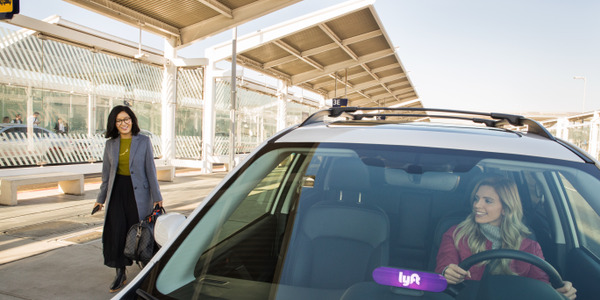 Some fleets have elected to expand on this fleet initiative by acquiring hybrid vehicles. “We will be introducing hybrid vehicles into most markets,” said Ross Harris, associate director Global Fleet GPO for Bristol-Myers Squibb. This was similarly echoed by other fleets. “We will try to incorporate more hybrid vehicles into our fleet if the TCO meets our budget,” said Karen Freeman, fleet manager, Vehicle Management Services for Siemens Corp.
Hybrids will be added to some 2017 selectors to help meet corporate sustainability goals, which, over the years, has become a factor in vehicle acquisition decisions at some corporations, especially multinationals. One trend has been the inclusion of more non-traditional fleet OEMs into a company’s fleet program. “We always look to introduce new innovative OEMs that provide the best TCO. We use a lot of Nissan and Subaru product today, and will continue to look at new OEMs, such as Hyundai and Kia specifically, as well as Mazda, Honda, and Toyota,” said one procurement VP at a Fortune 500 fleet who wished to remain anonymous. This trend is not restricted to commercial fleets. Non-profit fleets are also looking at non-traditional nameplates, such as the American Red Cross. “We are considering adding ‘foreign’ OEMs,” said Marvin McClain, CAFM, director, enterprise fleet for American Red Cross in Atlanta. Another company with a more open sourcing program is Royal Cup Coffee. “We will continue to purchase Subaru passenger vehicles, but are considering a move from one import brand to another vendor due to service-level issues. Our preferred vendors for medium-duty trucks will continue to be Isuzu and Hino,” said Collins of Royal Cup Coffee. Many fleet managers were unable to definitively respond to the fleet survey since they had not finalized their total cost of ownership (TCO) calculations. Also, many fleets, at the time of the survey were out to bid, so were not able to provide definitive answers. “It is too early to tell; we will base our selector on TCO, safety, and sustainability,” said one fleet manager who requested anonymity. However, TCO will be the key criteria in making these decisions. “Our evaluation of OEMs is on TCO and we are seeing some indications of a shift in some markets,” said Chris Tinajero, global category manager for Ericsson, Inc. This was seconded by Petersen of Panasonic. “It is too early to tell right now. We have started our review with all the OEMs and it just depends on vehicle availability and how our TCO analyses develops,” said Petersen. There is a trend to decrease the number of OEMs at fleets that previously offered large selector choices. At the time of the survey, many companies were still out for bid, which may (or may not) result in changes from which OEMs they source new vehicles. “There may be possible changes – we have an RFP out to OEMs now,” said Wickham of The Wendy’s Company. Most fleet managers anticipate that their incumbent OEMs will continue to be competitive and win the RFP. 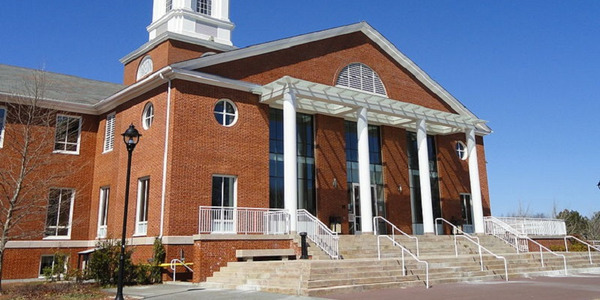 “We still have to complete our RFP process, but I expect minimal changes as long as the incumbents stay competitive,” said another fleet manager. Many companies source from a variety of OEMs and, as a consequence, do not anticipate any significant changes in OEMs during 2017-MY ordering. “I do not think I will change OEMs because we use a variety of OEMs now,” said Genovese of Chemtreat, Inc.
Another fleet manager offered a similar perspective. “We typically order each year from four different OEMs and I don’t see that changing this year,” said Switzky of American Family Mutual Insurance Co. The decision to remain with existing OEMs was reinforced by other fleet managers, as illustrated in the following comment: “We will order from the same OEMs – GM, Ford, and Subaru,” said Mary Pat Crabtree, global mobility coordinator for Brown-Forman Corp.
Other fleets are committed to sourcing from specific OEMs due to multi-year sourcing agreement. “No, I do not anticipate changes with OEMs, as I negotiated multiple year contracts to include MY-2016 and MY-2017,” said Orth of General Mills Inc.
Another factor influencing OEM selection involves the generosity, of (or lack thereof) fleet incentive programs. “We are now about 95% with one OEM. This year I intend to include a second OEM in our truck selection. 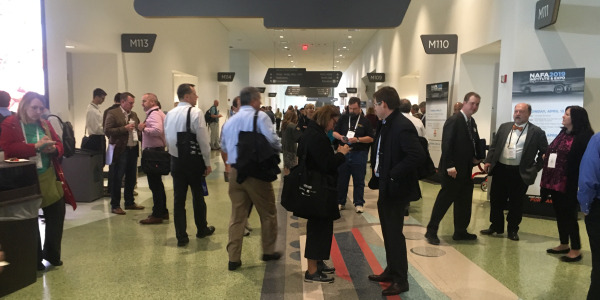 The discounts from our existing OEM are less aggressive than they had been,” said Jeff Allspaugh, North America Fleet Operations for Genus PLC. 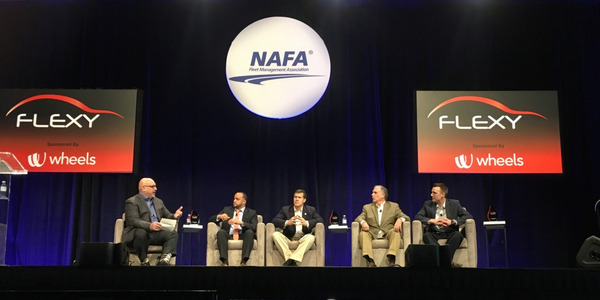 Other fleet managers lament that in recent years some OEMs have been showing less creativity with fleet acquisition programs than demonstrated in prior years. “We do not plan to change OEMs, but would welcome creativity in offers from the OEMs. Most programs have become very structured and standard. For example, I have not seen a multi-year offer for some time,” said Szymanski of PPG Industries.